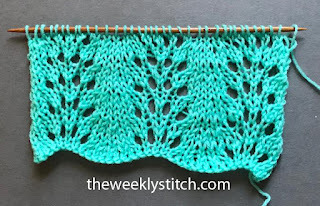 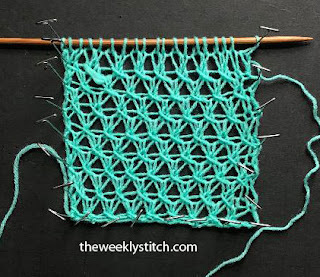 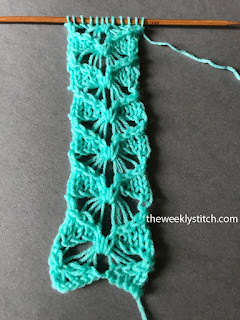 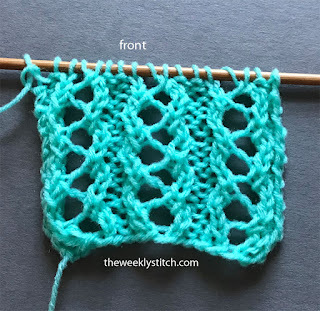 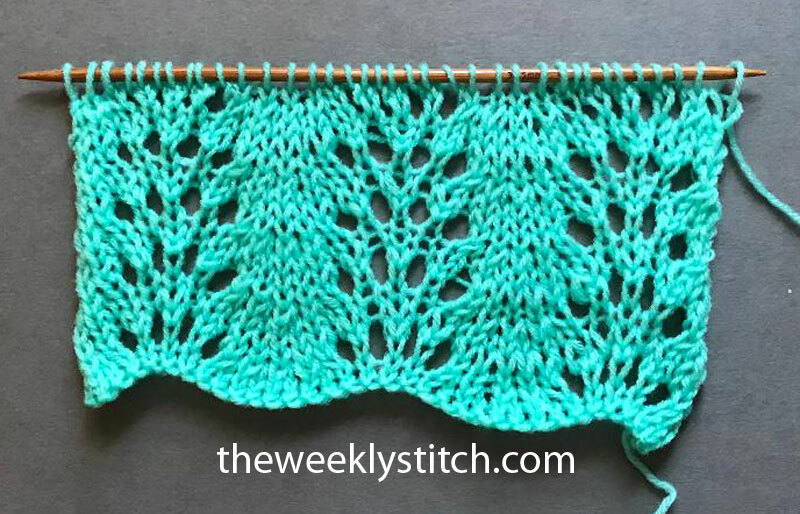 Depending on how you use this stitch, you may want to add some extra edge stitches; this will neaten up the sides and also make the yarn over at the end of Row 1 easier to work. 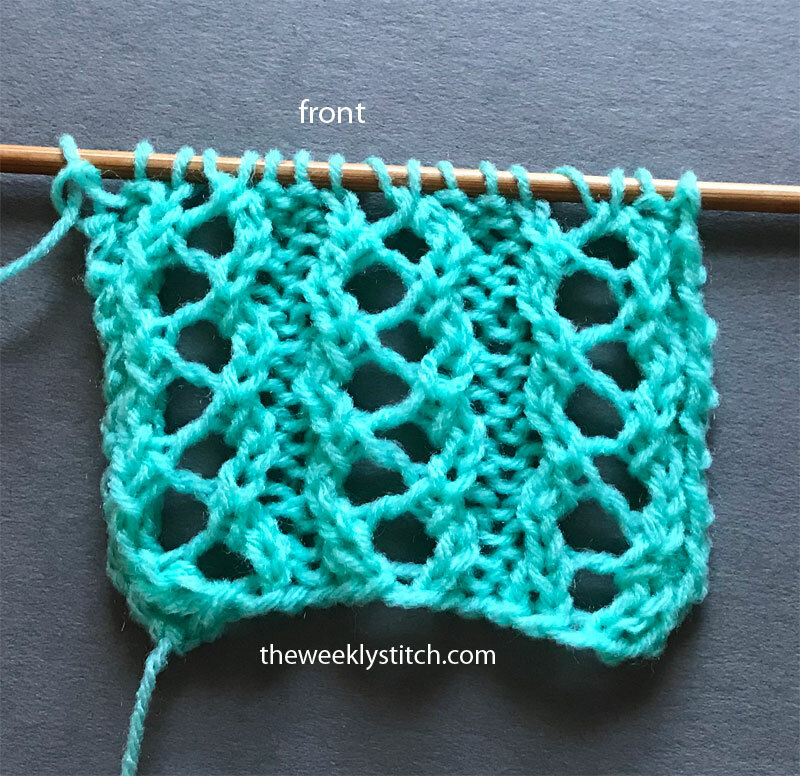 This varies from the first Old Shale pattern I posted a few years ago in that there are no purl bumps on the front of the fabric, it is nice and smooth. 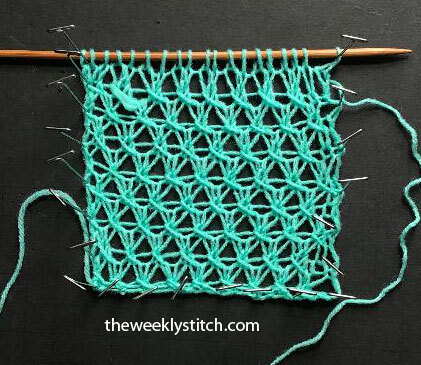 The stitch count is less also. 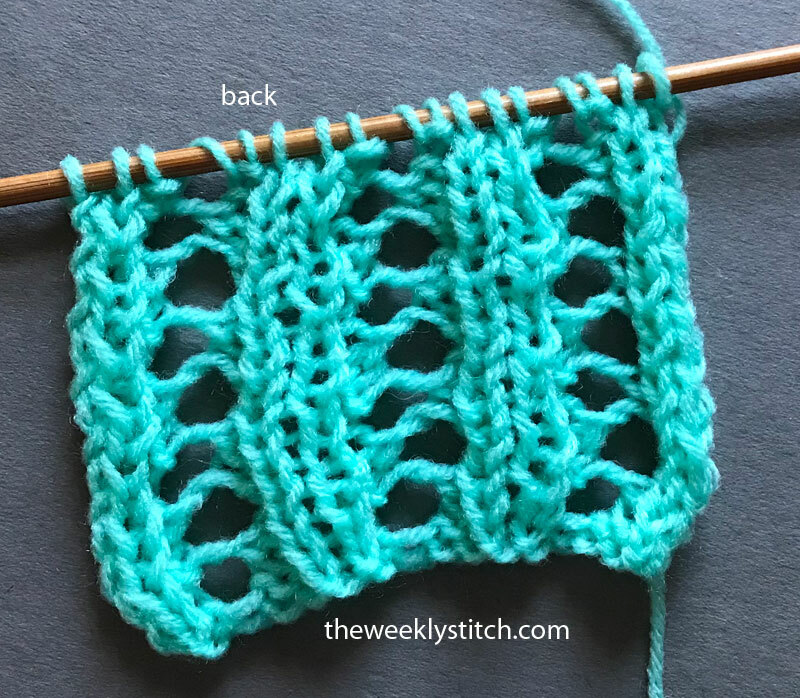 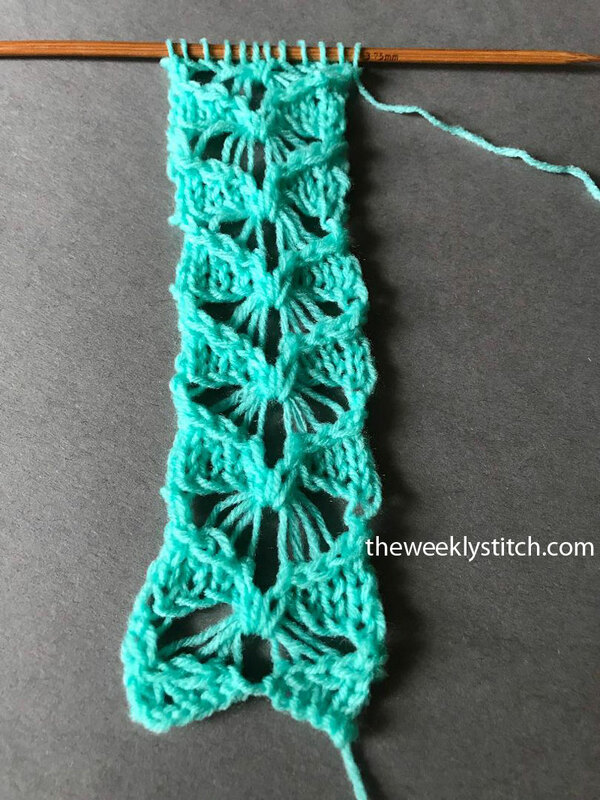 The edges do curl, so you may want to consider adding a border to take the curl, depending on how you plan to use the stitch. The edges do curl, so depending on how you plan to use the stitch, you may want to consider adding a border to tame the curl.